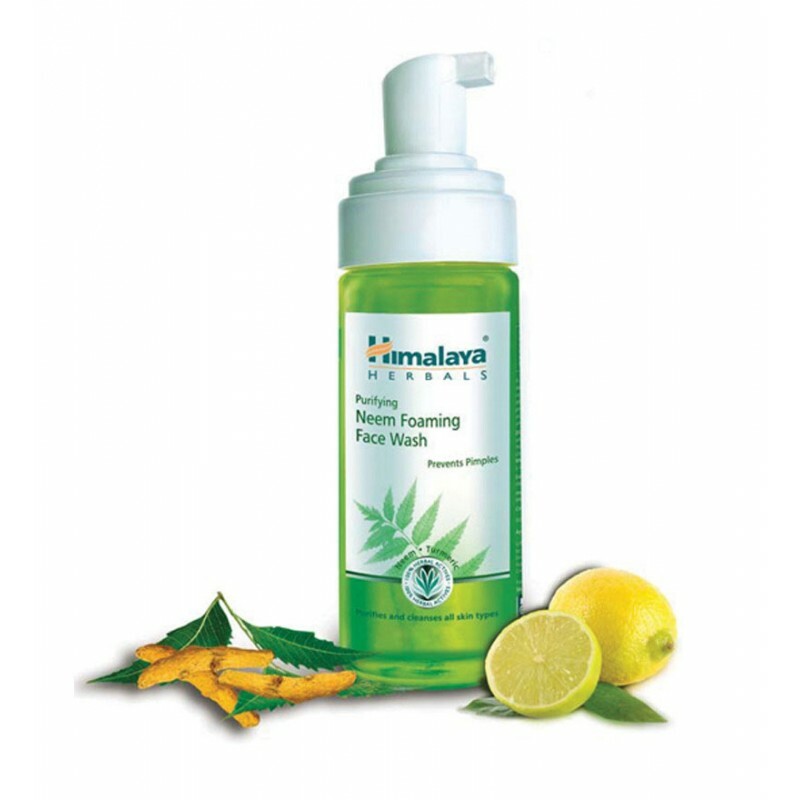 Himalaya's Purifying Neem Foaming Face Wash, developed after extensive research, is a combination of Neem and Turmeric. Neem is well-known for its antibacterial, antiviral and germicidal properties, which help control acne, pimples and prevent their recurrence. Turmeric has antiseptic characteristics along with skin-soothing properties. Turmeric has been used as an antiseptic for centuries, and it is regarded as one of nature's most powerful healers. The herb helps to even out your skin tone and color, making it an excellent ingredient in a face wash. It also helps to retain the skin's elasticity, making it supple. Turmeric contains strong anti-inflammatory properties, which soothe your skin. Moisten face, apply Purifying Neem Foaming Face Wash and gently work up a lather using a circular motion. Wash off and pat dry. Use twice daily.